Kids ROCK! is centred on bringing our kids into relationship with Jesus through honest faith, real love and serving our city. We use every opportunity intentionally to share with and instill in children the joy of knowing Jesus as a friend and king. At the Rock we believe that whether you’re 1 or 100, you matter to God, and that no one is too young to start discovering for themselves the love of God. Our friendly and experienced Kids ROCK! leaders will help your children feel welcome and inspired as they make friends and learn about God in a creative, fun environment. Kids ROCK! starts once the “message” time begins in the service (this is after a short time of worship). Children move into a separate room for 30-35 minutes to have their own learning time, tailored for their age. The values of the Rock Christian Family are the same in Kids ROCK! The message delivered in main church is relevant and appropriate for kids in high school, which is supported by ministry opportunities for high schoolers also.  The Rock Christian family belongs to the Crosslinks Christian Network of churches in Australia. The Rock Christian Family is committed to the safety, protection and wellbeing of all children and young people from all forms of abuse and neglect, and actively seeks to prevent is occurrence. We make every effort to provide an environment of safety and support for all children and young people. The Rock Christian Family has a children and young people protection policy in place which encompasses training and education for volunteers on dealing with all forms of child abuse, and risk minimization strategies to ensure protection of children and young people within the ministries of the church. This policy can be supplied on request. All Kids ROCK! team members have up to date Blue Card checks, adhere to a code of conduct and receive child protection training. There is also a nomianted First Aid leader in each session.